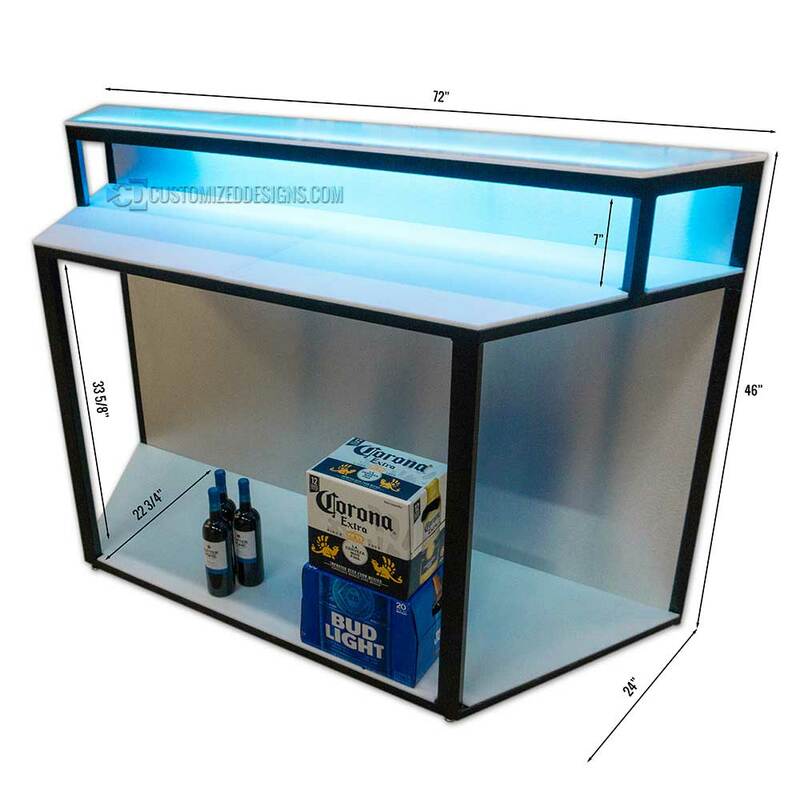 The hex modular bar series has been discontinued. 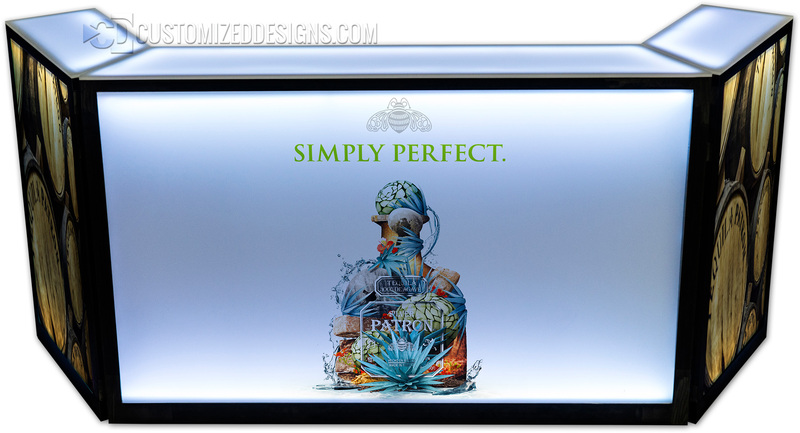 Be sure to check out our other portable bars here. Our modular portable bars are fabricated with heavy duty steel and finished with ultra durable powder coating. 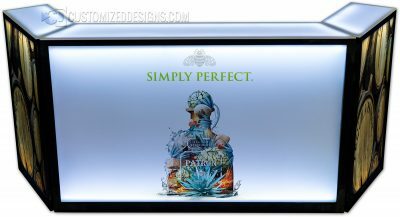 All components are stainless steel and rated for outdoor use. 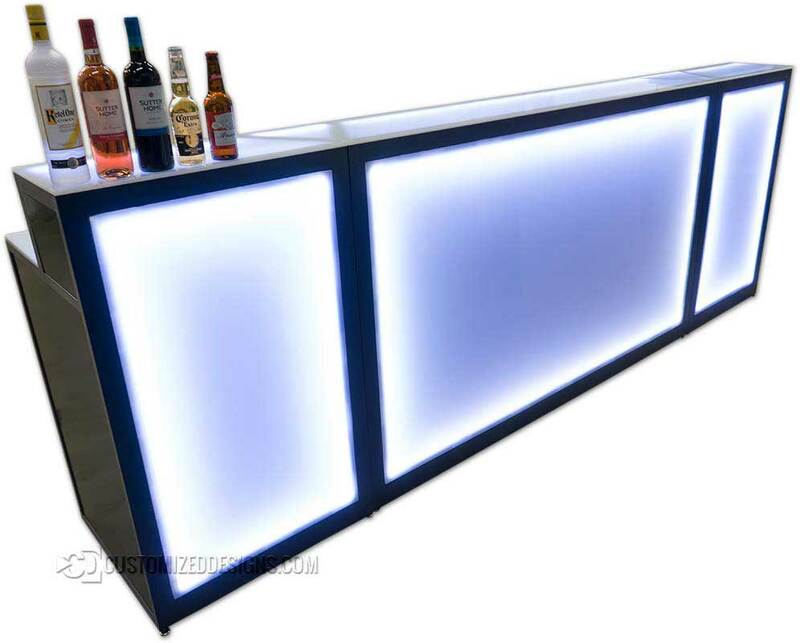 All back bar panels, including shelves, are food-grade NSF rated HDPE. This is the same material used to make cutting boards, which means your entire back bar doubles as a cutting board. All of our modular bars include free front panel graphics to promote your brand or just to give your bars a different look. 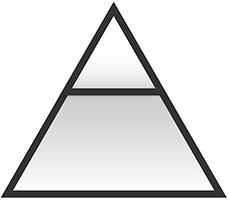 We also offer free stock graphics in case you don’t have a logo/design yet! 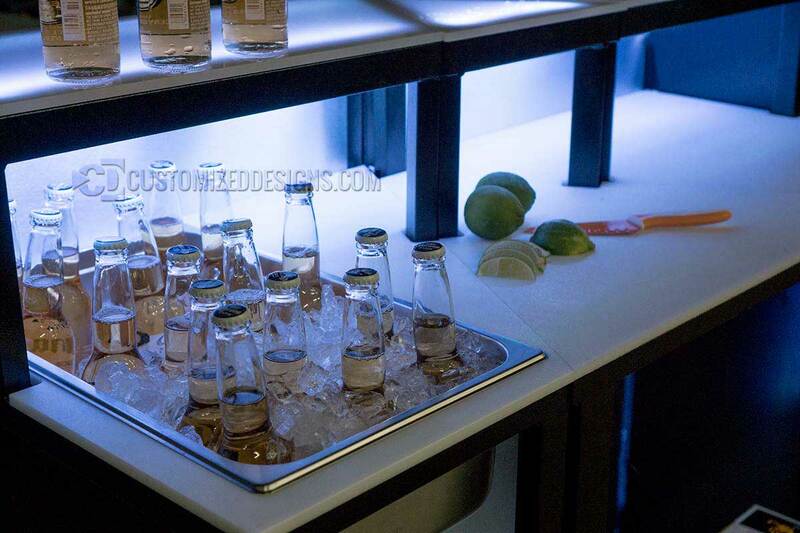 We designed this system to be modular, but also to have the look and feel of a high-class, permanent bar installation. 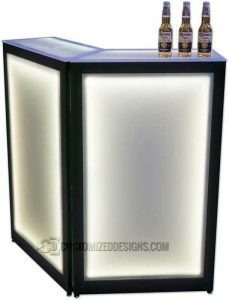 This makes these bars perfect for both temporary set ups like special events and trade shows, and permanent installations in bars, restaurants or hotels. 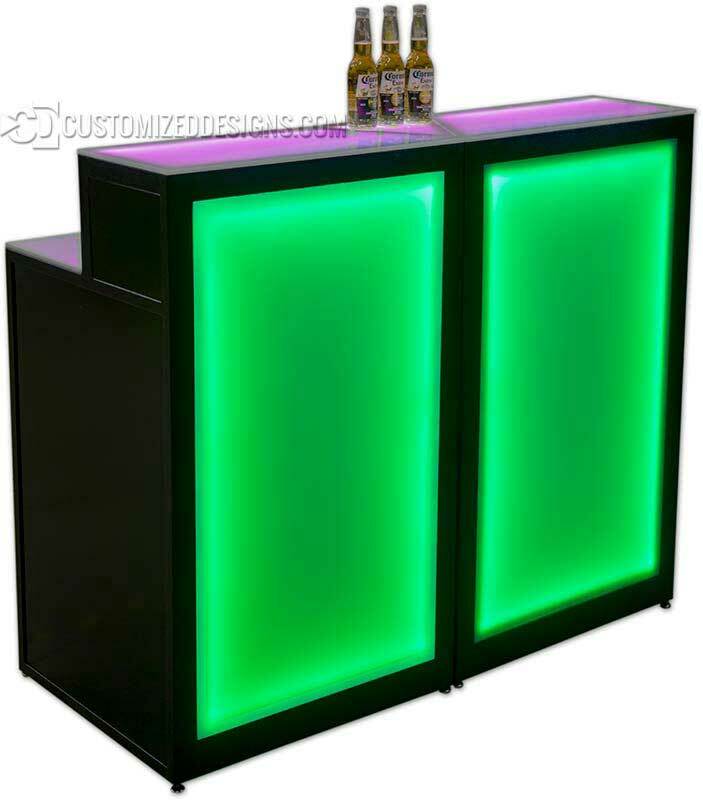 All of our portable bars are made to order and fabricated in Denver, Colorado. 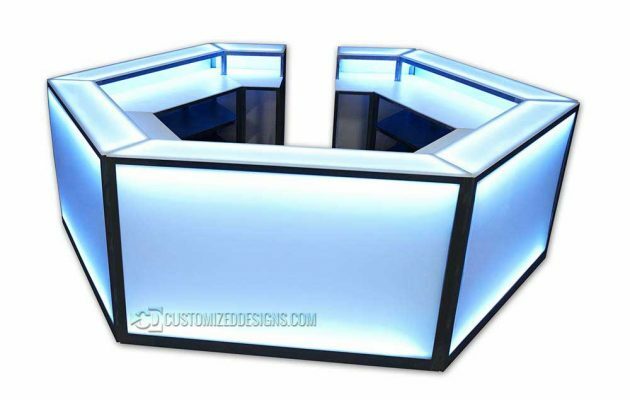 This means virtually ever aspect of our bars can be customized to perfectly suit your application. Below is a list of just a few potentials options. 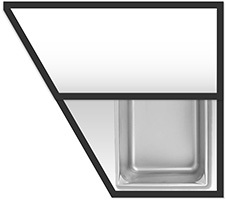 Ice bins & stainless steel pans – You can choose from our pre-fab ice bin layouts or customize one of your own to perfectly fit your needs. Custom Front Panels – If LED lighting isn’t your thing, we can create your bar with different styles of front panels ranging from solid colors, wood grain, metals and more.